I based this temple design around three guardians the player must set free and bring back to a central point. Rescuing the guardians opens a central door which leads to the boss fight for this particular temple. 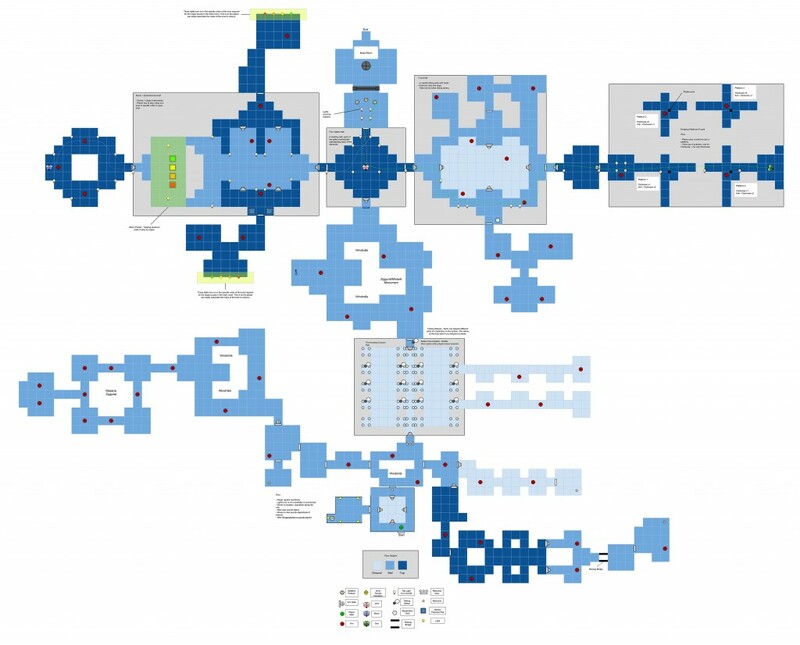 The puzzles in the temple are based around rotating platforms, and a song the player needs to remember the order of notes for, similar to ‘Simon says’ style gameplay. Zoom in on the image to see the puzzle explanations and their solutions.